Vertical loading QwikClip for rapid reloads and super-fast blasting! Designed not to jam! Get stuck in the action with the HALO powered by BOOMco. 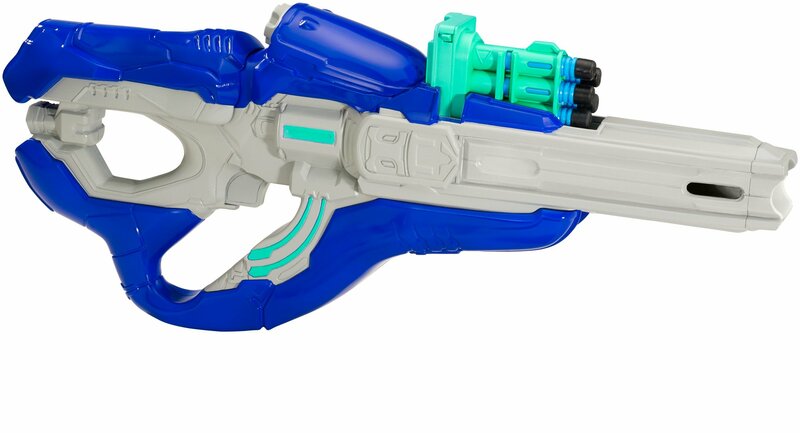 Covenant Carbine Blaster! Featuring authentic details that will thrill fans, kids and collectors, the Covenant Carbine has crazy fast, epic accuracy and features the BOOMco. QwikClip rapid reload clip system designed not to jam so you can defeat the UNSC at super speed. Get the competitive edge on the HALO battlefield and Blast Better with BOOMco.! Colors and decorations may vary.